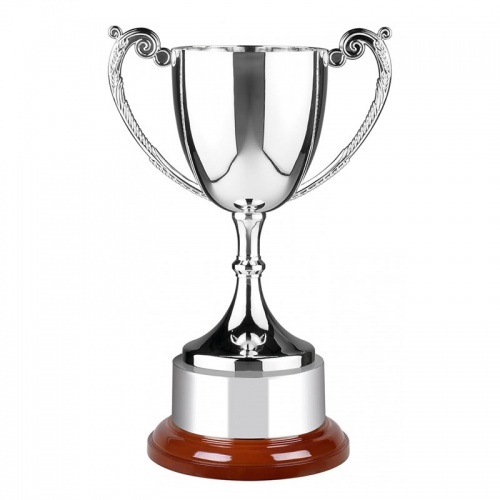 A superb nickel plated trophy available in six sizes up to 16in (400mm) tall. These value for money trophies feature a circular wooden base and nickel plated plinthband. They are tarnish free and can be engraved on both the trophy cup and plinthband. Available in six size options.